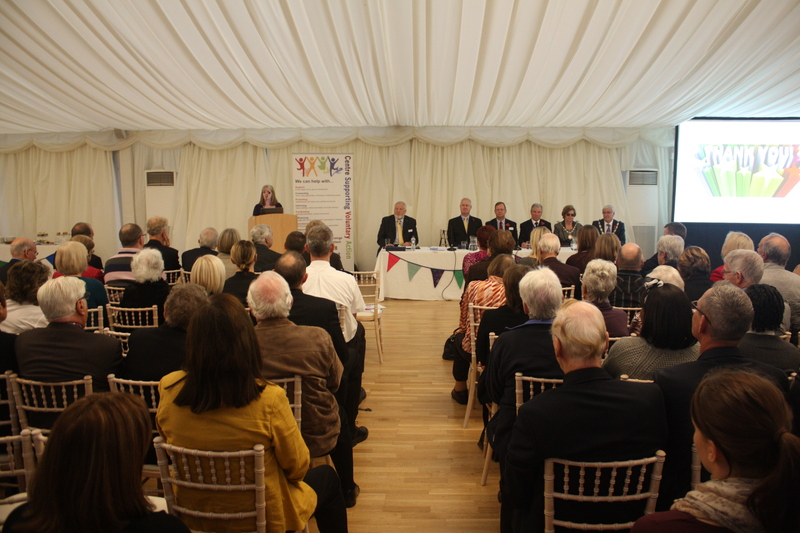 Our 20th anniversary annual charity update event took place at the Grand Pavillion, Hylands House on Monday 3 November. 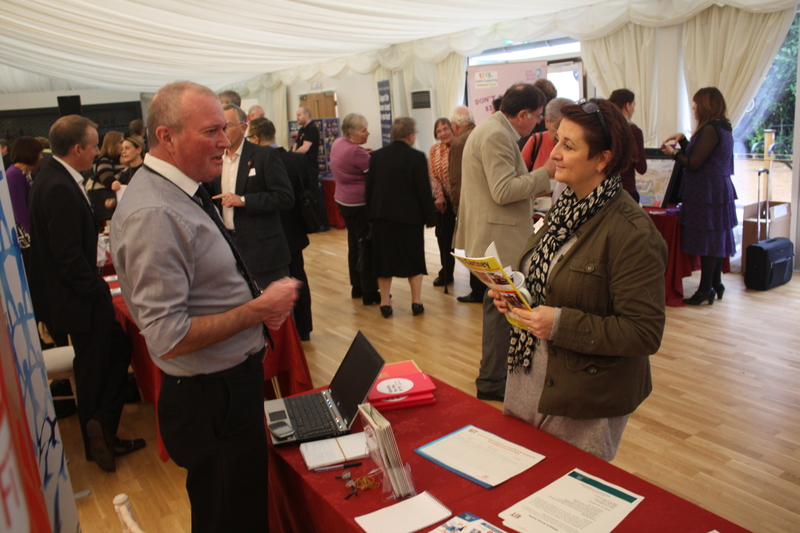 It was so lovely to see everyone, old friends and new; the room was absolutely buzzing with people catching up, connecting and finding out information from the exhibitors. Supported by the Mayor and Mayoress of Chelmsford, the Chairman of Essex County Council, Dave Monk from BBC Essex and Bob Reitemeier from Essex Community Foundation we were delighted to present our very first Chelmsford Awards for Voluntary Service and Mayor’s Award for Outstanding Voluntary Contribution. 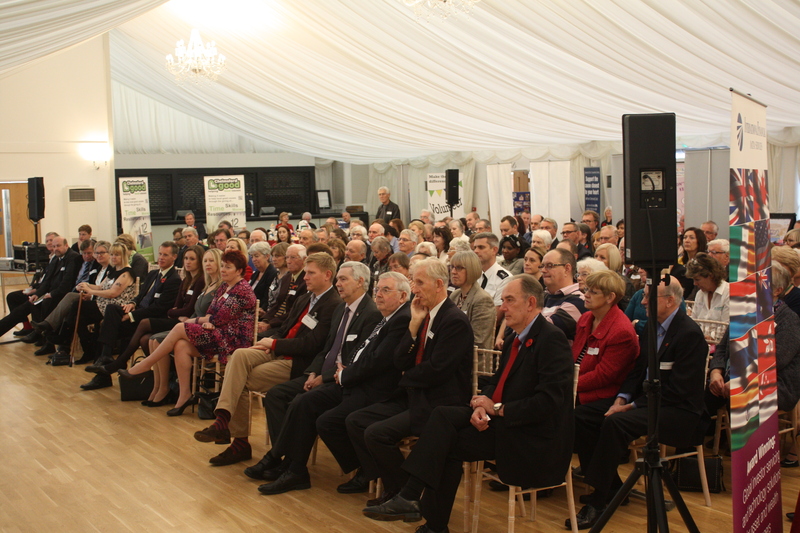 The Awards recognised some of the local people who give freely of their time and talents to help others across the city, its villages and South Woodham Ferrers. Almost 250 home made cakes were baked, donated (thank you Laura and Alex!) and consumed at our annual charity update event. Such a lovely atmosphere in the room and what a wonderful surprise our Award winners had! The Chairman of Essex County Council, Cllr Hume, presented a Long Service Award to Ray Cooper for over 55 years volunteering with Chelmsford Amateur Boxing Club. Highly Commended Certificates in this category were given to Colin Gooday for over 48 years with charities supporting adults with Learning Disabilities and to Pat Wilson for 40 years with Chelmsford Talking Newspaper. Other winners were: Brian Winder for Individual Fundraising Endeavour Award (sponsored by IFDS) with local charities CHESS and Helping Hands. Accepting the Chelmsford 4 Good Employee Volunteer of the Year Award (sponsored by The County Hotel) were Sue Priem and Mel Lee from Chelmsford Marks & Spencer. Finally, the Award for Outstanding Contribution to Charity Trusteeship (sponsored by Fairey Associates) was presented to Richard Black for his support of four local charities and a Highly Commended Certificate to Dr Ben Newman Wright. “It was truly a great experience to be part of such a fantastic celebration. The atmosphere was wonderful, both positive and supportive. As a small charity it is good to know that we are not alone. We all left with a massive smile on our faces having enjoyed the afternoon. 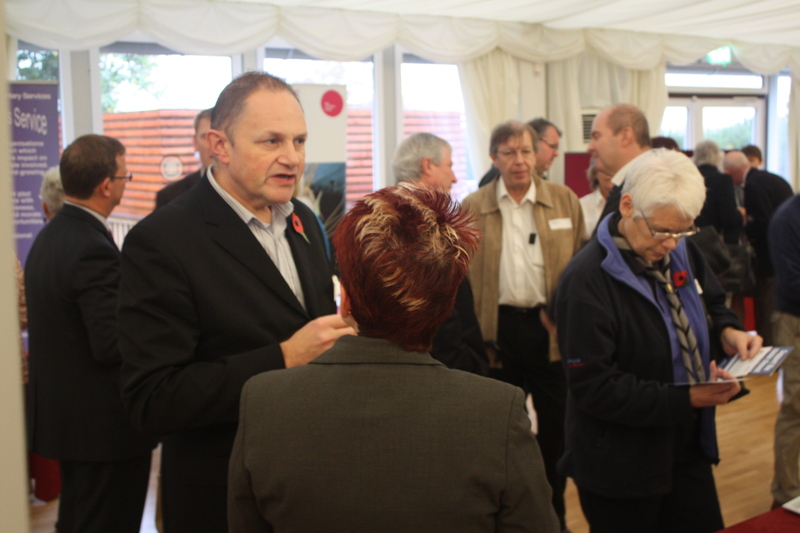 As one of the trustees commentated to me: ‘that was so uplifting to be a part of’.” – HearingHelp Essex. 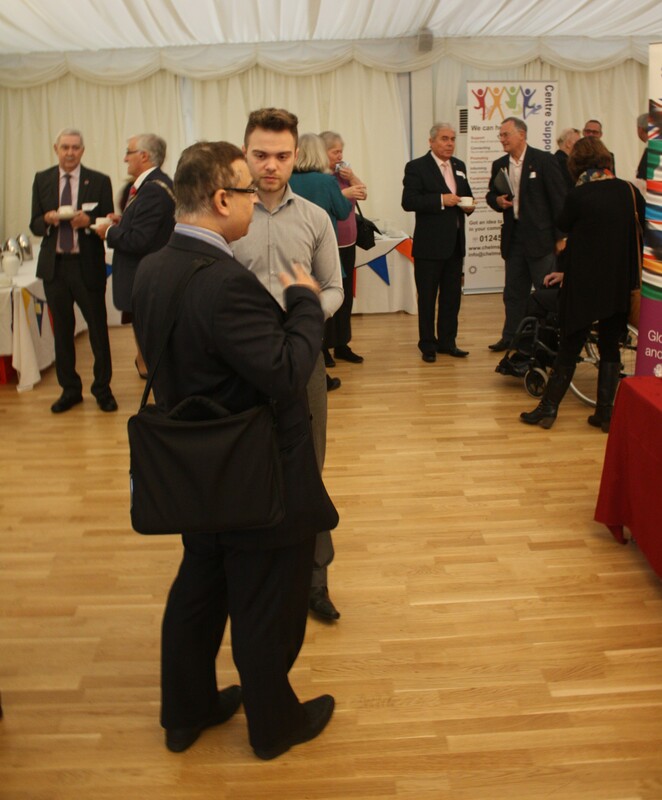 “The event was really well attended and a number of awards were presented to individuals who through their voluntary contributions make life so much better for their local communities. Chelmsford CVS are clearly very successful in delivering services to voluntary organisations in and around the City and I congratulate them on their 20th Anniversary and long may they continue their work in this sector.” – Essex County Council Chairman’s Blog. You can see more photographs and download from the Dropbox here.